Wearing socks around the house or for certain activities can be relaxing and comfortable…until you fall because the sock material and the floor surface create a slippery situation. The answer to this potential hazard is grip socks. As their name suggests, grip socks, also known as non-slip socks, grip your feet to the surface. Grip socks are commonly used in hospitals and senior care facilities to minimize the risk of patient falls. The tread on the sole of the sock helps people get around the tiled floors of these facilities without their feet losing grip. Another popular use for grip socks are physical activities that take place on hard floors. Examples include yoga, pilates, barre, and dance classes. Many yoga studios require them to help participants avoid slipping on yoga mats or wood floors. To further maximize their non-slip potential in yoga and barre, many grip socks used in these classes are toe socks. The idea behind this design is that the rubber grip on the sole of the socks combined with separated toes improves balance. Grip socks make it more comfortable to participate in these activities by removing the need to wear shoes. This is especially true for people with swollen feet or ankles who have trouble wearing shoes. It may also be advantageous to use grip socks than participating in bare feet because your feet stay warm, and you don’t have to worry about hygiene issues from exposed feet. Make sure they fit snugly to avoid slipping off, especially in the foot area. Make sure the density of the grip on the sole provides adequate traction and breathability for your need. 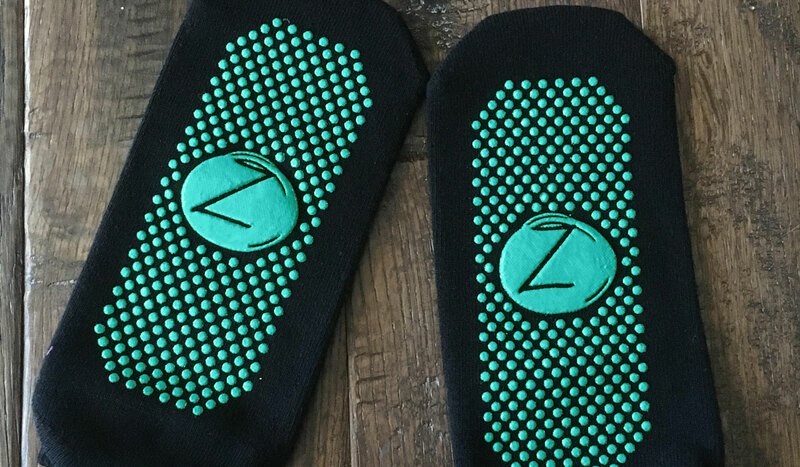 Health and fitness businesses offering grip socks should use this opportunity to have custom socks made just for your application. They help with promotion and can foster a more loyal customer base.